Seth and Bobby on Mad TV. Seth MacFarlane plays Peter Griffin on Mad TV. Bobby Lee takes on the role of Stewie Griffin.. Wallpaper and background images in the Seth MacFarlane club tagged: seth macfarlane mad tv bobby lee family guy peter griffin stewie griffin. Seth MacFarlane plays Peter Griffin on Mad TV. 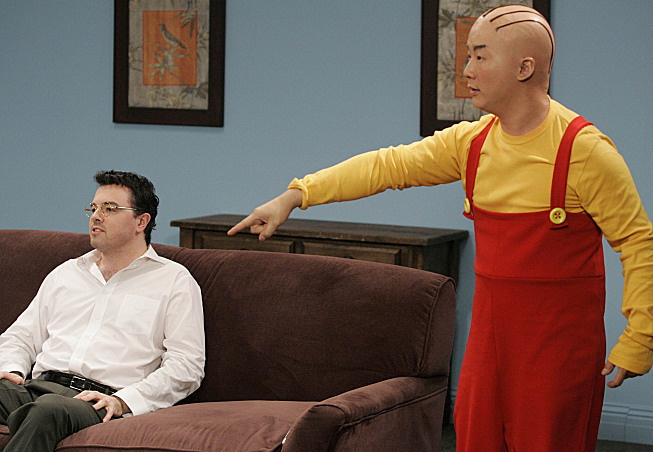 Bobby Lee takes on the role of Stewie Griffin. This Seth MacFarlane photo contains family room, living room, living room, sitting room, front room, parlor, and parlour. There might also be drawing room, den, drawing room, and withdrawing room.